Garbanzo bean flour is a fine powder made by grinding the whole garbanzo bean. What is Garbanzo Bean Flour? 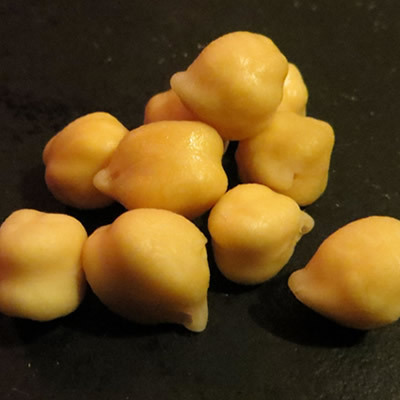 Garbanzo beans date back 5,000 years to Mesopatamia. The top producer of garbanzo beans is India. Mexico, Canada and USA also produce some garbanzo beans. Used in most gluten-free flour as a good source of protein and vitamins. Add 10-20% to pizza dough, bread, cookies, and cakes for added protein. High levels may decrease loaf volume and alter texture. Good source of calcium, B vitamins, protein and iron.